Mike Paladino was in a number of groups as a kid including the Princetones. A product of St. Joseph's High School, West New York. Mike and a friend Pete Prince formed the Princetones - Pete Prince - wrote the classic tune Guardian Angel outside of Leone's pizza parlor in West New York. 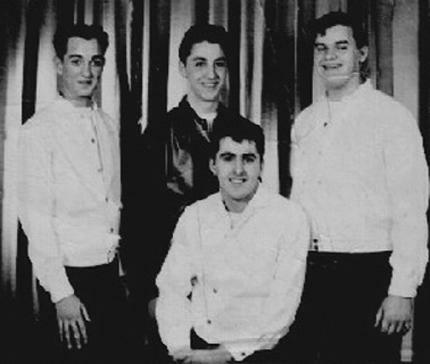 The group was the first to record a demo of the song in 1958. The song was basically stolen from the group after they performed it at St. Celicia's high school in Englewood, NJ. It was subsequently done by no less than five groups but the Princetones were never given recognition for it. After the departure of Mike Paladino for the Bon-Aires, Peter Prince & Tom Ruggeri formed a new group and cut two Unreleased sides for Rome Records "My Life" b/w "My Madonna".